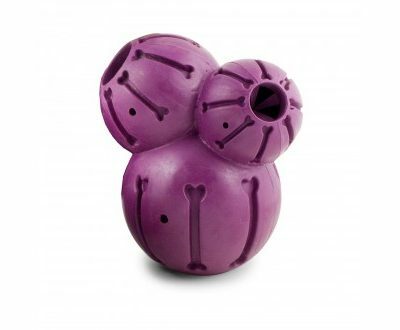 Busy Buddy Barnacle is a multi-chambered toy that features three patented Treat Meters to randomly dispense treats while your dog plays. 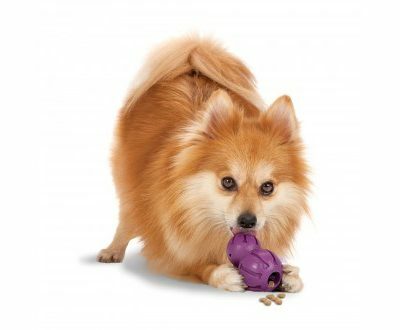 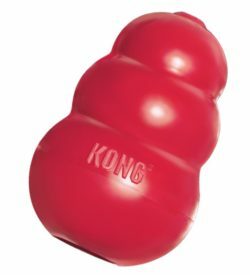 As your dog chews, bites and plays with the Barnacle, the unpredictable movement of the toy knocks treats loose and your dog will have hours of fun figuring out the most effective way of being rewarded. The prongs of the Treat Meter can be trimmed with scissors to increase the rate at which treats come out. 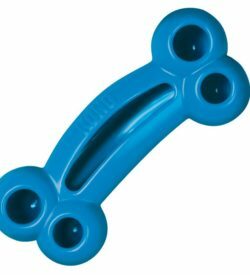 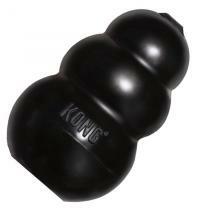 There are also evenly dispersed bone shaped grooves around the toy which are perfect for smearing cheese or peanut butter into for even more playtime options.